Dots of Happiness Product Spotlight: Personalized Pillow Case! Today I am going to spotlight Dots of Happiness’ “Friendship and Fun Pillowcase” (Pictured below!). 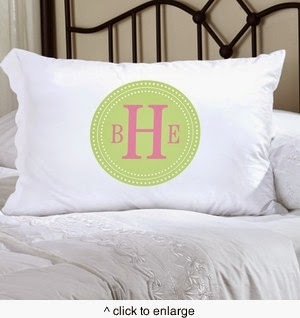 This pillow case is a white personalized custom pillow case. Like most items on their website, this item is able to be customized so you can make it fit you or someone else you know that would love a personalized pillow case. This pillow case is a standard queen size case and there are many different designs for this pillow case. 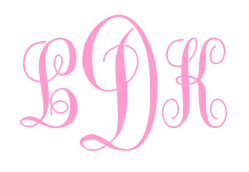 They have crosses, flowers, hearts and other designs; or you can add your own monogram or name to make it unique to you or your gift receiver! The pillow cases are white poly sateen and then these designs are put on to the case. These cases could make great gifts for a newly wed couple or a college student looking for bedding for their dorm or first apartment. Check out these pillow cases here: http://www.dotsofhappiness.com/collections/blankets-bedding/products/friendship-and-fun-pillow-cases-many-designs and check out the rest of their site!